RightBridge Provides New York State Reg. 187 Solutions. RightBRIDGE Client Profiler can also be used to find all relevant needs-based product opportunities for clients in a financial professional’s book of business and delivers top opportunities to financial advisors. Wizards help advisors determine the specific products on their product shelf are best suited to meet their client’s needs, objectives and preferences. 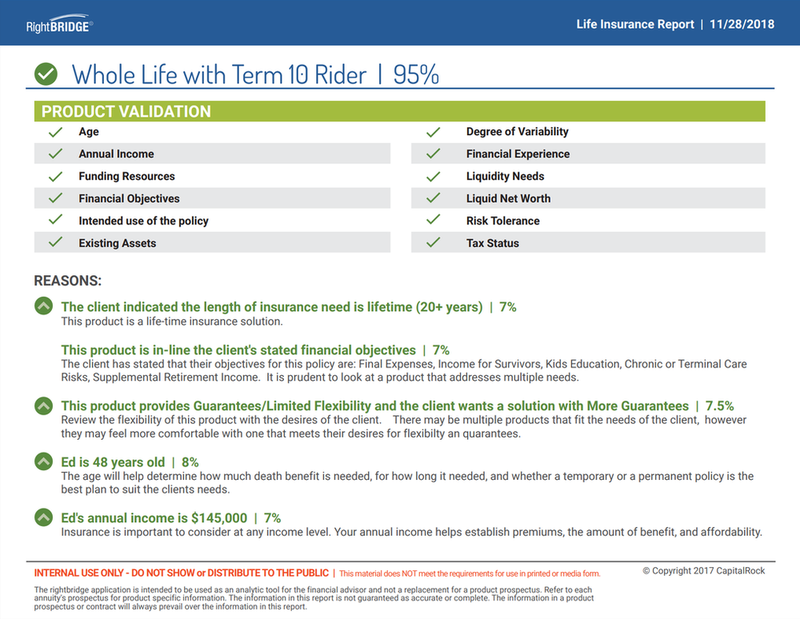 The RightBRIDGE Annuity and Life Insurance Validation Tool uses an AI engine to determine the suitability of a proposed or in-force policies in the state of New York. The solution supports new sales, replacements or changes to an existing policy.